While the phenomenon of the shopping mall has been declared dead over the past decade or so, its potentially toxic spirit lives on in the increasing commercialisation of privately owned public space. 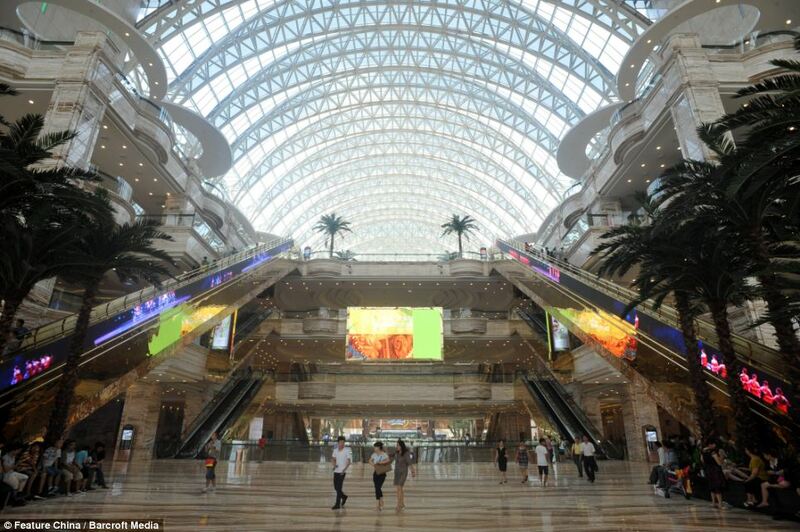 Why still bother talking about shopping malls? Ever since the turn of the millennium, many have proclaimed the death of this hallmark of postwar American culture. Following the demise of an idealised view of suburbia to which the mall was always considered a symbiotic embodiment, the remaining 300,000m2-a-piece mastodons harbouring mile after mile of air-conditioned shopping corridors seem an increasingly anachronistic phenomenon. Writers like Paco Underhill — a self-proclaimed “retail anthropologist” and author of bestsellers like Why We Buy and The Call of the Mall — have heralded our current ‘post-mall era’ over a decade ago, citing then-new trends of online shopping and ageing baby-boomers as its root cause. About three years ago, the mall’s sure death became engraved into the collective consciousness thanks to a whole sub-genre of ‘urban explorers’ who focused their camera lenses on the scenes of derelict and deserted mallscapes— Failed Architecture took notice, too. More and more (online) media jumped on the mall-turned-to-ruins bandwagon, solidifying a narrative of the very sure death of this cultural and spatial phenomenon. Since then, ‘Dead mall’ acquired its own dedicated Wikipedia entry in more than ten languages. 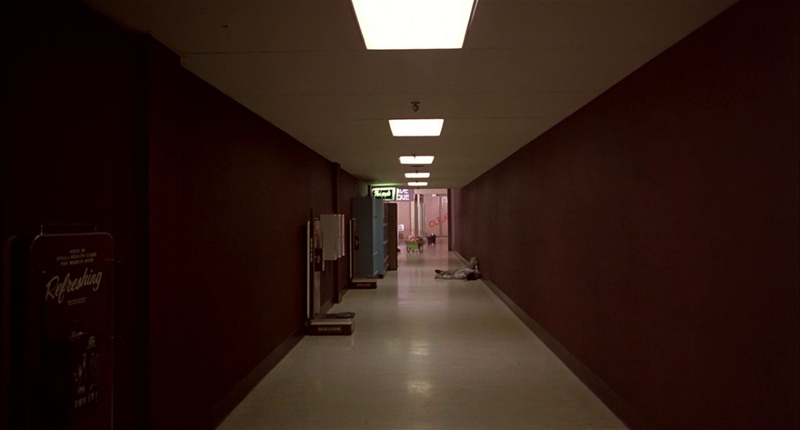 Still from George Romero’s ‘Dawn of the Dead’ (1978). As of today, nails are still being hammered into its coffin: just a couple of months ago, the New York Times ran an ‘ode to shopping malls’ that rather reads as an obituary: “Farewell, pleasure palaces of days past. A filmmaker’s series chronicles a way of life as it reaches its end.” The photogenic appeal of the kitsch pomo interiors (columns, tympanums, palm trees…) that defined the idiosyncratic classicist architectural elements that were in vogue during the mall’s 1980s ‘second-wave’ heydays, make it easy to imagine the photo reportages as archaeological enterprises unearthing an ancient and irrelevant history that was still alive and kicking less than a decade ago. The logic of a strategically (in its design, location or labyrinthine layout) developed enclosed space that functions — or masquerades — as a public environment, however, has not become as obsolete and ‘dead’ as the decaying suburban brick-and-mortar boxes discussed above seem to imply. Much like the very premise of the zombie flicks that have benefited most from the mall’s potential for post-apocalyptic scenography, it resembles a state of undead: the mall is rising from its alleged grave, more vengeful and ubiquitous than ever. Perhaps a ‘return’ of the mall is not a satisfactory analysis for those who look at some of the most conspicuous contemporary resurrections: new developments seem to be characterised only by their disparity of forms and contexts, moreover exhibiting the very traits opposite to the shopping malls we grew accustomed to in popular culture. 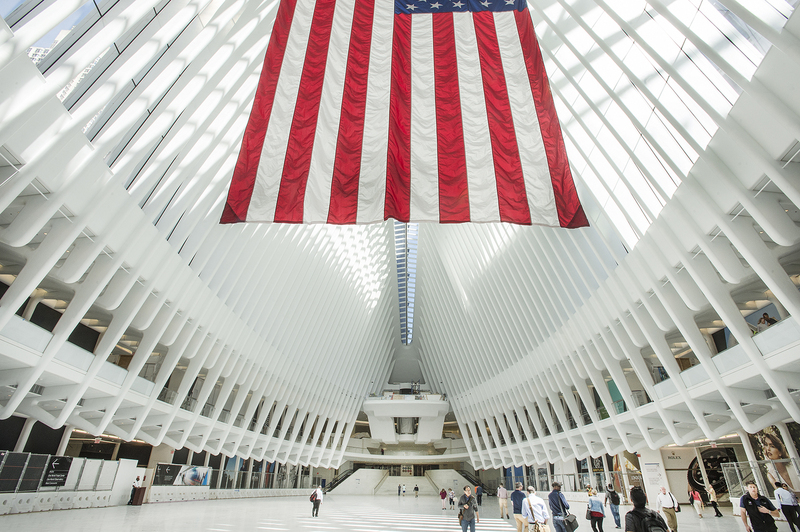 Take the Westfield mall at the new World Trade Center complex in New York, designed by starchitect Santiago Calatrava. Located in lower Manhattan, under the shadow of the 541 meters high One World Trade Center tower, its situation is hyper-urban, rather than suburban, and the characteristic Calatrava-shapes are the ultimate opposite of a bland, anonymous box. Another inverse of the classical archetype is found in Beijing’s Central Business District, where the San Li Tun area has an open-air shopping mall that is purposefully made to resemble regular city streets and buildings, ridding itself of the ‘all under one roof’ paradigm altogether. The design team behind the Central Business District repeated the formula near an ancient temple in Chengdu, proposing a shopping environment that resembles a traditional Chinese village — but with high fashion brands as the building’s occupants and surrounded by large glass-and-steel towers of the city’s business district. Chengdu also happens to be the home to the world’s biggest building: the New Century Global Center. Though this colossal structure — at 1.7 million square meters, the Sydney Opera House would fit twenty times in there — opened as recently as four years ago, its premise as shopping environment (400,000 square meters of its floor surface is devoted to shopping) seems already anachronistic compared to its village-like antithesis that just materialised in the city’s centre. Like its hermetic and generic counterparts, the outdoor formula can seemingly be adapted to any cultural, urban or spatial context with minimal effort. To a European observer, the mall’s resurrection and/or endurance might seem of little concern due to the perceived conceptually, ideologically and culturally foreign nature of something so quintessentially American (though by no means confined to the North-American context, as the above examples prove). It is true that Europe historically did not let mall-dwelling consumerism — or, more importantly, the private project developers that made these instances possible — reign free: Europe’s first malls were part of visionary architectural projects, often thought to be accommodating notions of a new, modern kind of citizenship. This stands in stark contrast to that offered by contemporaneous developments across the Atlantic, where the first archetypical (i.e. bland, utilitarian, air-conditioned, and with acres of parking space around them) suburban malls began to emerge around the same time. 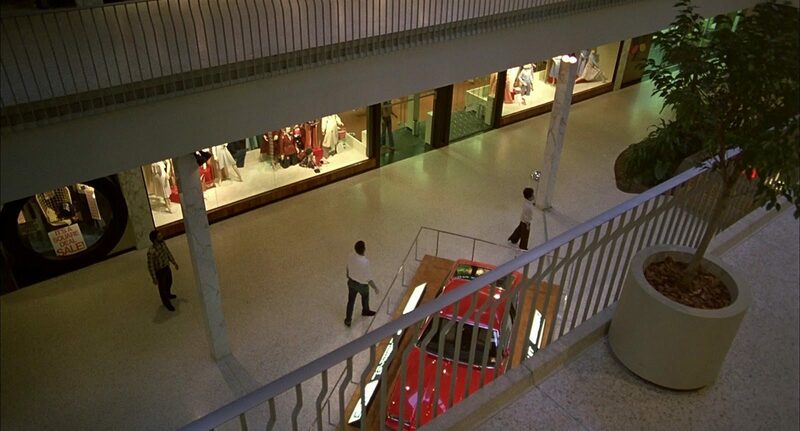 The latter type of mall is often attributed to the mind of Victor Gruen, whose architectural firm was responsible for over fifty shopping malls throughout the U.S. in the period after the Second World War up until the mid-1970s. Gruen — born Grünbaum, an Austrian emigré architect and committed socialist during his European youth, intended for America’s first mall to be accompanied by parks, schools, and apartments, so the mall could function as a central social space akin to “the ancient Greek Agora, the Medieval Market Place and our own Town Squares provided in the past”. The European context was obviously different in its architectural tradition and urban fabric, but was also characterised by a different political reality due to governments’ roles in funding and developing the often mixed-use downtown complexes in which the first shopping centres emerged. In the earlier post-war period, they often materialised as part of a wider effort to rebuild cities affected by derelict inner-city districts, otherwise as part of reconstruction efforts to fill in blanks left by Second World War bombings. Rotterdam’s Lijnbaan, designed by Van den Broek & Bakema, is a good example of this. 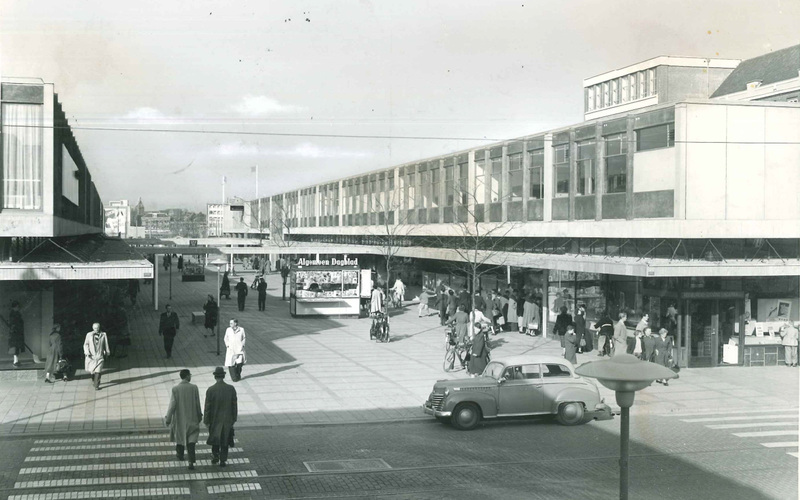 When it opened in 1953, it was the very first pedestrian-only shopping area of the Netherlands, and introduced a new shopping typology to the country: the dedicated shopping street – an outdoor precursor of the strip mall. Dwellings, in old European inner-cities traditionally found above the shops, were for the first time placed behind it, rendering the ‘strip’ as a domain exclusively devoted to the shopping public; utilities and dwellings were only accessible through back streets. 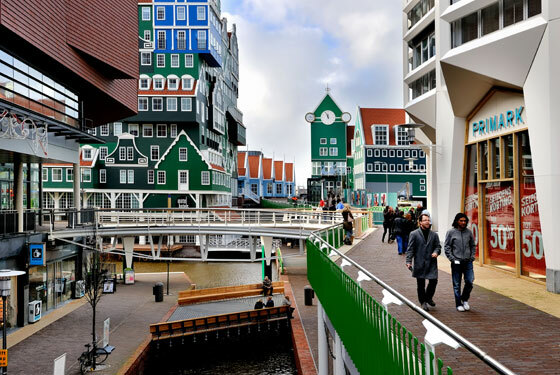 Jaap Bakema’s affiliation with CIAM and the Dutch structuralist movement meant the project was conceived as affording a new and promising way of living. At the other side of the Channel we can find similar developments. South London’s Elephant & Castle area, known for its magnificent theatres and cinemas before it was wrecked by war bombings, was to be restored to its former glory by constructing a state-of-the-art (i.e., America-inspired) shopping mall, which opened in 1965 as one of the very first indoor shopping malls in Europe. It did not quite live up to its regenerative expectations, and currently suffers from a bad reputation (though some are, as with much architecture from that era, starting to re-appreciate the complex) and is scheduled for demolition and subsequent redevelopment. Europe’s politics of postwar redevelopments therefore resulted in malls that were— at least in aims and stakeholders — quite different from what was happening in the United States, whose conditions were described charismatically by Underhill as ‘cowboy conditions’. However, while Europe never knew any cowboy conditions, neoliberal Third Way politicians of the 1980s and 90s were happy to lay the groundworks for the vast expansion of ‘shopping’ to all newly privatised environments, essentially paving the way to a new commercialised wild west public domain: hospitals, train stations, museums, airports … all fell victim to a profound mallification while new suburban malls flourished. These typologies, which are presumed to be mainly concerned with public interests like healthcare, logistics or culture, suddenly acquired a much more commercial character. It’s significant that the British Airport Authority, the company created by the privatisation of British airports including Heathrow, is listed on the London Stock Exchange under retail rather than the transportations stock. In a rat race akin to the increasingly spectacular, theme park-like malls of 1990s North America, the modern shopping center, airport or even museum slowly transform themselves into environments that only cater to ‘experiences’ that create ‘worlds’, and are presented as environments to ‘just have fun’ in (the Mall of America’s slogan used to be ‘There’s a place for fun in your life’) — but of course only serve to lubricate the consumption process that finances the existence of said environment. While Pimlott focuses on those kinds of workings for interior spaces, it has become clear that the formula can be taken to the street as well — or more precisely: it can emulate a street outside the confines of a large enclosed space just as it can create these inside a large building. The above example in Chengdu proves that it is a feasible option for those developers who want to create ‘new and exciting’ iterations of the mall: ‘streets’ or ‘villages’ are erected with a not-very-subtle traditionalist aesthetic, not unlike the exaggerated appeals to traditional national architecture that Dutch architect Sjoerd Soeters is known for. This move bolsters the convergence of shopping spaces towards the logic and resembling results of Disney’s famous imagineering: re-creating something resembling an urban, collective space, but modelling it wholly according to an imaginary form. In the case of the Disneylands and Worlds, this didn’t just mean pink castles and tree foliage trimmed into cubes. It also meant strip malls lined with pastel coloured houses that serve no other function than to sell either food or merchandise. Bizarrely, this appeal appears to exist even without the allure of Disney trademarks, given the proliferation of so-called ‘shopping villages’. The border between the Netherlands and Belgium in the south of Limburg houses an example of such a ‘village’: Disneyland without the roller coasters and princesses — just designer outlet shops housed in quasi-pastoral architecture and a faux bell tower, in a profoundly artificial environment where even nature is not allowed to be natural. The appeal of masquerading a mall, an outdoor shopping environment, or even a singular store as a romantic call back to simple times of small communal environments (which of course also implies a certain exclusion of ‘unwanted’ elements: the poor, the homeless — the non-consuming public) is far from over, as is proved by the world’s most valuable brand: Apple. The company recently announced it will no longer call its retail locations ‘Apple Stores’, but rather ‘Town Squares’. During a grand event housed in their controversial new Palo Alto campus designed by Foster + Partners, safely tucked away from the realities of streets and public life, let alone communities, Apple’s ‘Senior Vice-President of Retail and Online Stores’ Angela Ahrends told her audience these ‘squares’ would become gathering places, locations where the company wants to ‘develop communities’ by hosting workshops. This development parallels the disturbing emergence of private parties tending to public spaces like parks and squares — on their own terms, of course — resulting in so-called ‘POPS’: privately-owned public spaces. Since these places are privately owned, cities wind up with pseudo-public spaces that curb its basic public functions. The riverside More London, home of London’s City Hall, for example, is owned by a Kuwaiti property company, meaning you must first seek permission to protest or film in front of the city’s seat of government — a clear and real threat to public space. The same problems are associated with the new shopping malls and villages, thereby creating a threefold threat to public urban life: first, the outside ‘villages’ banish all traditional functions off a street except one: shopping. This results in the mere semblance of a street, where nobody is running errands, going to work (except the counter clerks, of course), walking their dog, recovering from a hangover, or playing in the street. It erodes the very street and city-life lauded by urbanists for time immemorial. Second, since these places are private domain, owners can impose their own quasi-laws onto the streets. ‘Unwanted elements’ — the protester, the drunk, the homeless — unceremoniously ejected by private security guards. Third, the kitsch and meticulously over-designed urban settings (whether ‘traditional’ Chinese houses or ‘intimate’ European streets) do not allow for the buildings to serve any other function than retail: nobody can live in their attics, top floors or backrooms, since they don’t have any — just like Disneyland’s Main Street. In the case of large capital cities, where property prices are in a permanent state of overheating and affordable housing is next to non-existent, this constructed simulacrum cannibalises on valuable and dearly needed public and domestic space (and with the villages, the footprint is even bigger than with a traditional department store or mall) and time (a whole part of the city is rendered useless outside the stores’ opening hours). These three phenomena are of course intertwined, and reinforce each other. The pseudo-public life of these environments used to be contained and delimited — its being housed in a single structure was the very condition for its birth — but now that it bleeds onto the streets, the ever-increasing mallification of our environment threatens to undermine the public common ground on which our societies were founded: public places should address an abstract, inclusive notion of the public, instead of a defined, limited, and exclusive (in the literal sense of the word) audience. 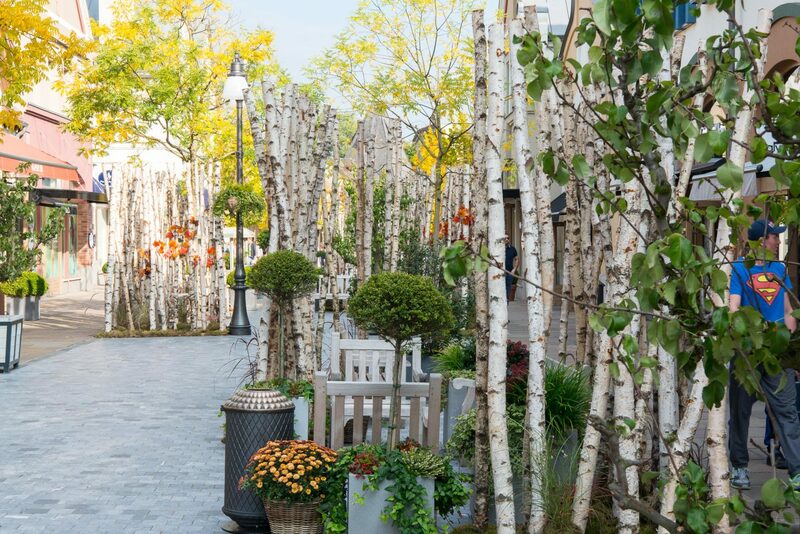 Conversely, we should not confuse or conflate trite stores (even if they place trees inside and call themselves town squares) to be an ersatz public domain. We’d better get a grip on the phenomenon of mallification of our cities, lest we become the zombie mall dwellers from Dawn of the Dead: trapped in a sanitised environment with all life sucked out of it, in an urban environment that has become no more than a spectre of its past self. Janno studied philosophy and architecture history at the University of Amsterdam. His research focus is on Dutch postwar architecture and French philosophy from the same era. He works as coordinator of the Jaap Bakema Study Centre and as research assistant of Erik Rietveld (RAAAF). Well written, but small in content. This is an aesthetic text that opinionates, and does not deserve the 'case study' label.